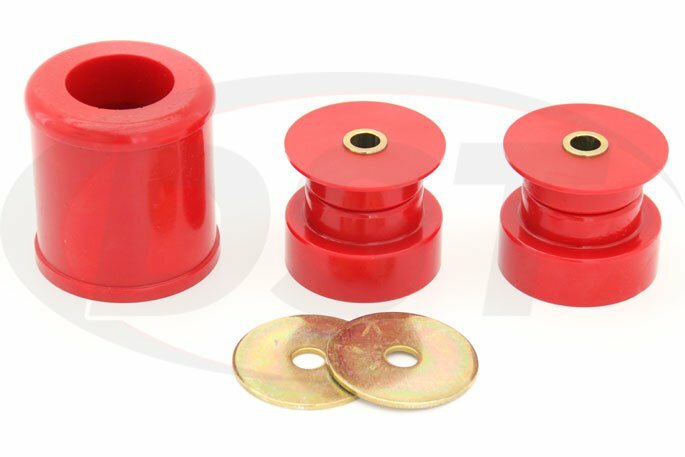 These Rear Differential Bushings from Prothane are a great replacement for the worn original rubber rear differential bushings on your Nissian 350Z or Infiniti G35. 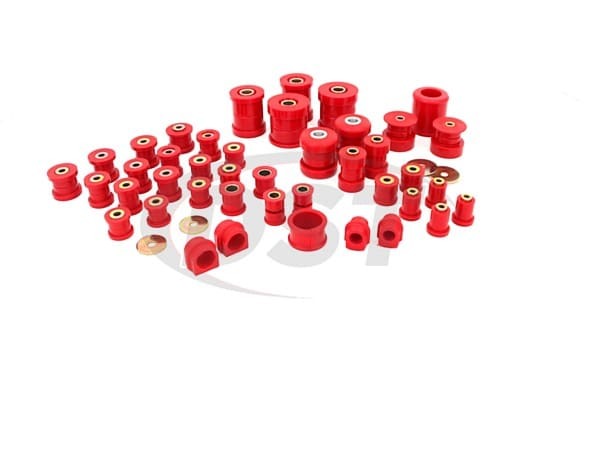 Polyurethane rear differential bushings will secure the connection between your engine and your rear wheels, stabilizing the drivetrain, providing quicker acceleration response, and eliminating wheel hop. Is there anything more annoying than taking off from a red light in your Nissan 350Z and having your back tires hop as they try and gain traction? All the horsepower in the world doesn't matter if that power isn't correctly channeled to the hand-sized contact patch of your rear tires. One of the typical weak spots in that path between the engine and the road is the rubber bushings holding the differential to the subframe. When the accelerator gets slammed coming out of a turn or from a dead stop the original rubber bushings that mount the differential flex to absorb vibration but they also absorb energy and allow the differential to move. This causes the rear wheels to gain and lose traction quickly for a few seconds which oscillates the toe angle of your rear wheels rapidly, resulting in wheel hop. 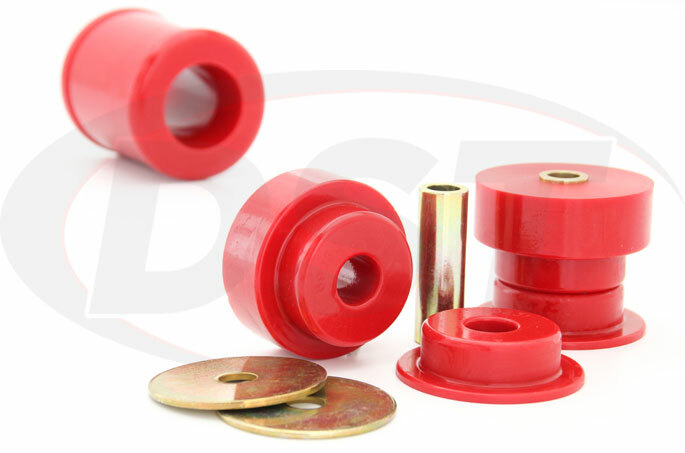 If you enjoy the powerful response from your Nissan 350Z or Infiniti G30 off the line then switching those soft original rubber bushings to Prothane's Polyurethane Differential Bushings will strengthen the differential's connection to the subframe. 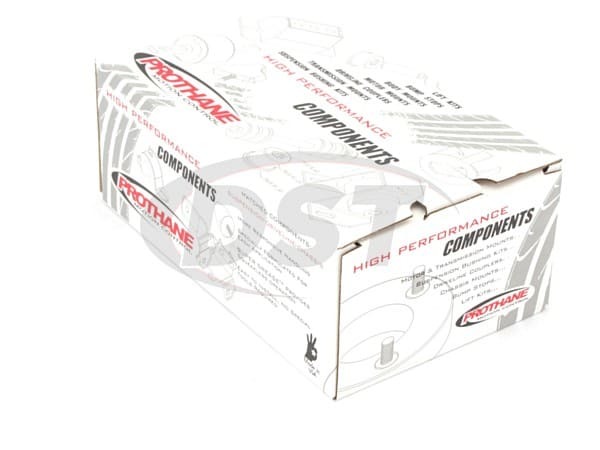 This will provide that instant transfer of power from the engine to the wheels that would ordinarily get soaked up in the flexing of those rubber bushings. 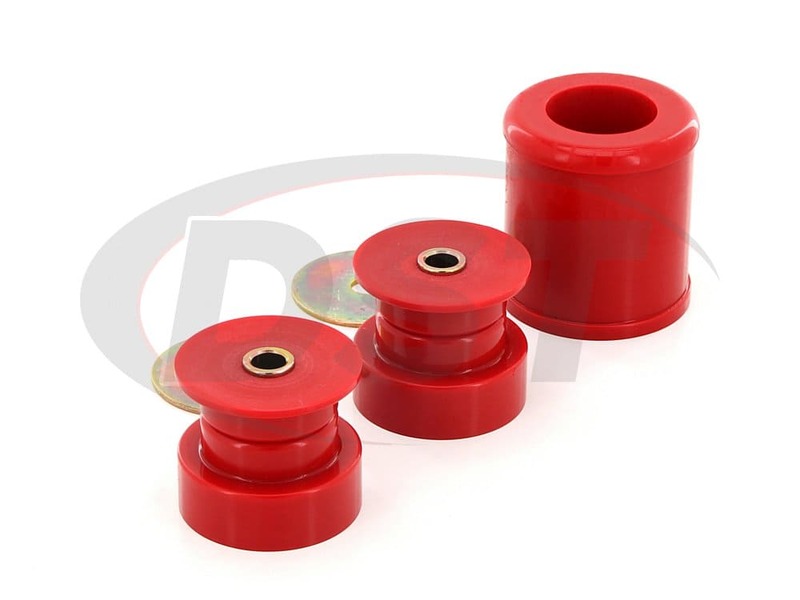 Since these polyurethane bushings will strengthen the connection between the drivetrain and the frame, more vibration will make its way to the driver. 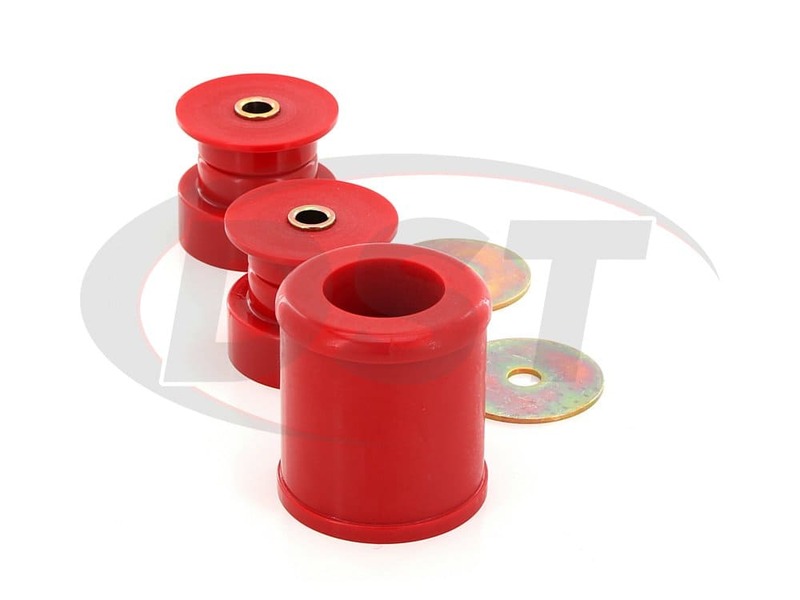 These bushings try to balance the difference between performance and comfort. They are not nearly as harsh as solid metal differential mounts but they provide much better power transfer than rubber. 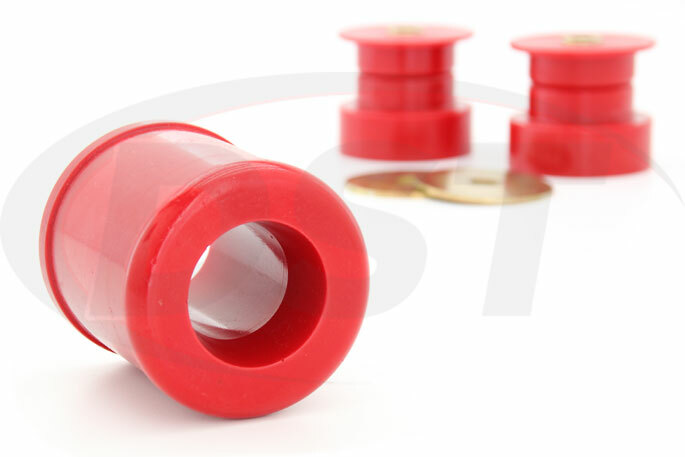 Beside the performance upgrade, polyurethane bushings last much, much longer than rubber if they are properly greased upon install. The pavement boiling heat we sometimes experience here in Stephenville Texas is just one of the things that will degrade rubber and polyurethane is resistant to that, plus wear, road grime, and road salts. If a rubber differential bushing degrades past a certain point you run the risk of your drivetrain shifting and, in extreme cases, even shearing the teeth off of the gears in the gearbox. Drivetrain damage can be more common if you've put a turbo or supercharger on your 350Z and are running more horsepower than the original rubber bushings can handle. 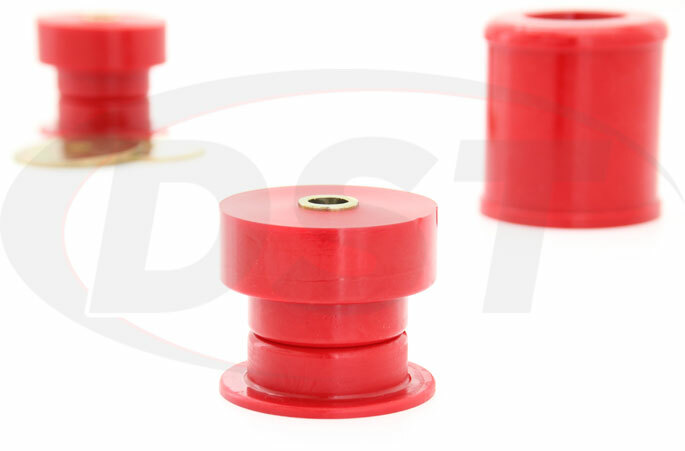 Polyurethane differential bushings will be most beneficial to those who want that powerful, off the line throttle response, but they can also help prevent wheel hop coming into and out of a turn, which benefits everyone. Now that you've got the power-to-the-ground issue taken care of, you probably want to make sure your wheels stay aligned so they provide constant traction in those higher speed turns. 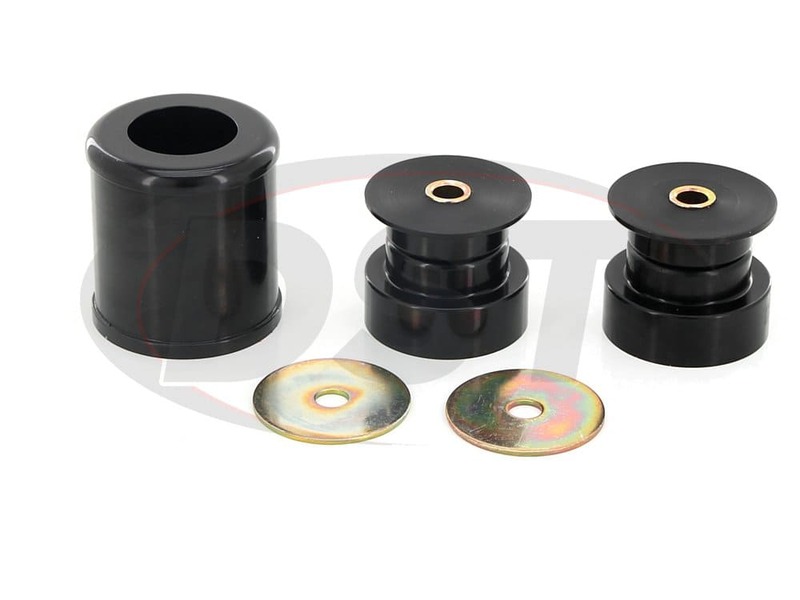 Those benefits and much more can be obtained by replacing all the rubber bushings in your 350Z or G30 with the polyurethane bushings in Prothane's Complete Bushing Replacement Kit. 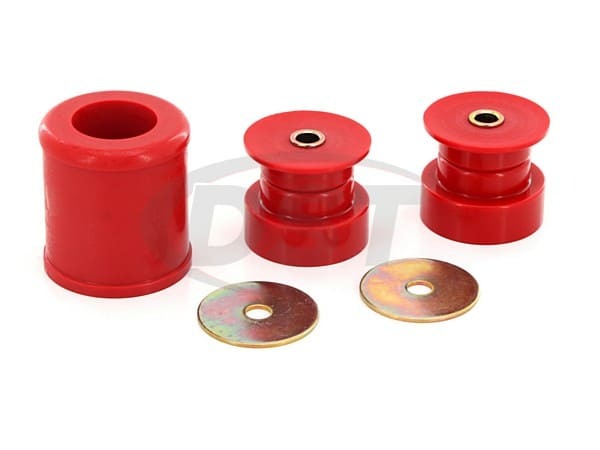 This Total Kit is guaranteed to have all the correct bushings to cover every bushing position on your car so you don't have to worry about hunting down the correct fitment. Difficult to install, but works great.